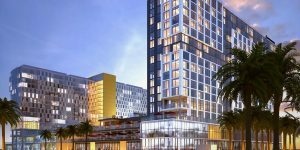 Microgrid Knowledge is accepting ideas for presentations to be delivered at Microgrid 2019: Shaping the New Electric Grid, May 14-16 in San Diego. The proposals are due January 31 in what is expected to be a highly competitive application process — last year’s conference attracted three times more proposals than openings available. “Here’s a chance to present stories of innovative microgrids and other advanced distributed energy resources, such as nanogrids, virtual power plants and non-wires alternatives, as well as community energy aggregations,” said Elisa Wood, editor-in-chief of Microgrid Knowledge. Register for the conference before Jan. 31, 2019 and receive a $350 early bird discount. “We welcome ideas that promote understanding of business and financing models, policy or regulation, products and markets, or technical and operational design,” Wood said. She added that Microgrid Knowledge seeks only presentations and case studies at this time. In early 2019 a separate call will be released for keynote and main stage speakers. Watch for that call in the Microgrid Knowledge newsletter. The Microgrid 2019 event planners are especially interested in proposals that offer engaging 15-minute presentations in a Ted-Talk format, followed by a question & answer session. Content should be new; please do not submit ideas that have been presented at multiple other conferences. Where appropriate, bring a microgrid customers to appear on stage with you and provide context, perspective and answer audience questions. 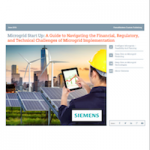 Microgrid 2019: Shaping the New Electric Grid” follows Microgrid Knowledge’s highly successful conferences in New York City, Boston and Chicago, all part of the online publication’s mission to advance microgrids. See the full call for presentations on the Microgrid 2019 site. Register for the conference before Jan. 31, 2019 and receive a $350 early bird discount.